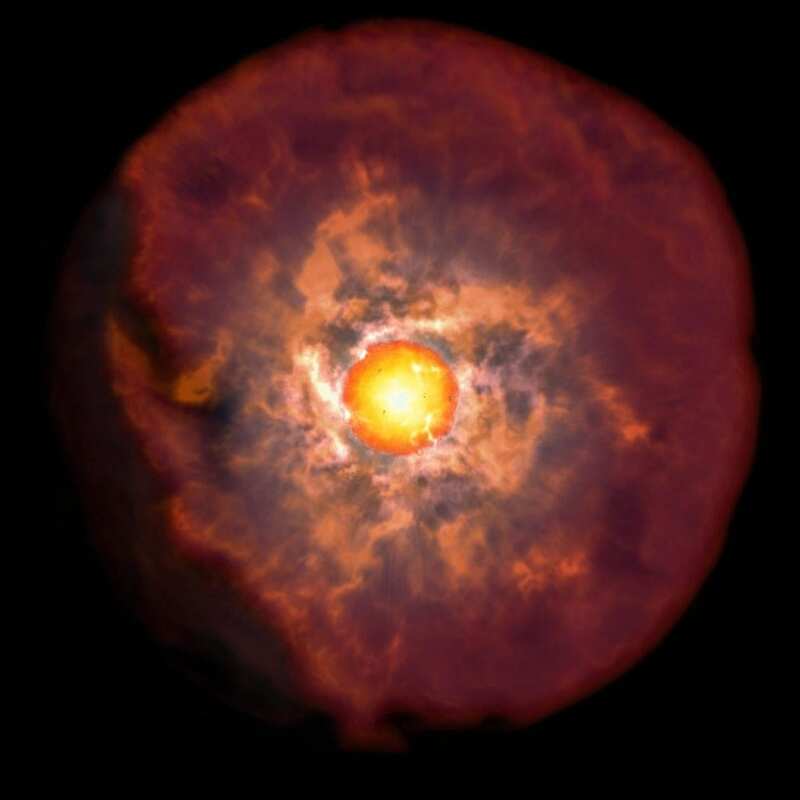 The group discovered that supernovae generated from red supergiants, stars of great size in advanced stages of their lives, present a flash before the main explosion not predicted by current models. The discovery was made by scanning the sky using DECam for 14 nights at the 4-m Victor Blanco Telescope located at the National Science Foundation's Cerro Tololo – part of the AURA Observatory in Chile. The observations will change what is known about supernova explosions and the last stages of stellar evolution. This brightness is explained by a collision between the expanding gas of the supernova and a material of unknown origin that surrounds the star, explained Francisco Förster, a researcher at the CMM and MAS leader of the research, "The presence of this material makes it possible to extract part of the enormous energy produced during the explosion and turn it into light that we can detect." "This research is part of the work that the CMM performs around acquiring and structuring complex databases, formulating methodologies to make sense of these databases and interpreting the results," said Alejandro Maass, director of the Center for Mathematical Modeling. "It's undoubtedly a step forward in the challenges that data science brings to society, academia and industry." According to Förster, the discovery will open new research avenues for the large telescopes that are being built in northern Chile, such as the Large Synoptic Survey Telescope, also funded by the National Science Foundation, which will sweep the entire sky every three nights. "This will enable us to collect more supernova samples, which will let us gain a better understanding of this phenomenon." The Director of Cerro Tololo, Dr. Steve Heathcote commented, "This result shows how in the era of Big Data, the use of advanced computing techniques -a field that in Chile has been established with global capabilities in CMM- to filter massive data sets delivered by modern instruments such as DECam, allow scientific discoveries that would have been impossible in the past. The techniques developed at CMM will be critical tools to handle the large amount of data that will come from LSST when it starts operations in Chile in 2023."